CRC Plastic & Rubber Doctor instantly restores, protects and maintains original colour and lustre of exterior trim. Easy application provides a deep, rich shine, renewing the appearance of dull, faded, discoloured plastic and rubber trim. For use on all colours and textures of plastic, vinyl and rubber. 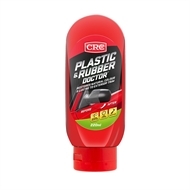 The long lasting protection barrier of CRC Plastic & Rubber Doctor lasts up to 4 months. It withstands repeated car washing, rain, environmental contaminants and helps prevent fading caused by UV rays and sun exposure. 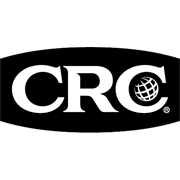 CRC Plastic & Rubber Doctor will also cover white residue left behind by traditional waxes and polishes. It will not streak or run onto your cars finish in rain or car washes. Use safely on all porous and non-porous plastic surfaces such as plastic bumpers, trim, rubber, gaskets, decorative mouldings, air vents, window trim & wiper arms, mirror housing etc.